This event, hosted by Preston Van Winkle, took place at Copper and Kings American Brandy Distillery. Guests were treated to a feast prepared by Chef Sean Brock of Husk Restaurant in Nashville which included delightful fried chicken skin among other Southern favorites. Guests were also afforded the opportunity to sample four Van Winkle bourbon offerings. Brand-new Master Distiller of Four Roses Brent Elliott hosted this event at the BBC Bourbon Barrel Loft space overlooking Louisville’s historic Main Street. Up and coming chefs from around the city prepared small plates as guests sipped Four Roses and cocktails. Blackberry Farm's Corporate Chef Josh Feathers prepared a four course meal for guests at the Frazier History Museum’s new Prohibition and Kentucky exhibit. Preston Van Winkle hosted a “Pappy Hour” before the meal. Bourbon University Sessions and Bourbon Classic Taste "Bourbon Street Meets Bourbon Country"
There were three sessions of Bourbon University this year broken up into five class offerings the first session, a Bourbon Masters General Session, then four more classes in the third session. Topics ranged from pairing bourbon and country ham to new distillers in the industry. 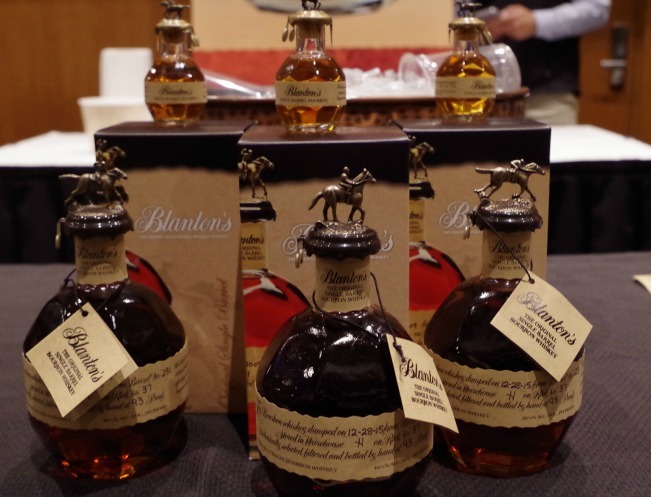 After the Bourbon University sessions, guests were given a Glencairn glass and set loose for 2.5 hours to taste dozens of bourbons and other whiskeys. Announcements about ticket sales and dates for the next year’s events usually begin in the summer, so keep an eye out on The Bourbon Classic’s website and social media for the inside scoop. We Want More Frosty Four!